A Council place planning project for Avalon has been projected for the past few years. To prepare for this, the APA worked with the Avalon Palm Beach Business Chamber and a wide range of community groups to hold a series of workshops in late 2015 to develop a shared community vision for Avalon. This vision document, facilitated by Conrad Grayson and his staff at SymStudio, was presented to the former Pittwater Council and was unanimously adopted and praised by Councillors as a suitable model for place planning in other villages in Pittwater. 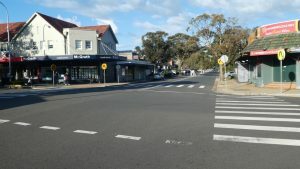 Since then, there have been various delays to the start date for the planning process, including the Mona Vale Place Plan fiasco. APA has been kept updated by Council which has repeatedly advised that the Avalon place planning process would proceed in due course, and that the vision would be taken as a guide and the Avalon community consulted as essential components of the process. It came as something of a surprise, therefore, to read in a recent article in Pittwater Life that the process may not be carried out by NBC quite as expected. APA has contacted both Council and Pittwater Life to express our view that this is contrary to our understanding that work is scheduled to begin during May and will embrace full community consultation which will draw upon the Vision Statement prepared by Avalon stakeholders. Council has replied, confirming that “the project will have a strong focus on community engagement and Council will work collectively with the community to identify what matters most, what is important and what people wish to improve about Avalon Village. The vision statement prepared by Avalon stakeholders will be relied upon to inform the process”. Read the full text of the NBC reply here. An invitation-only workshop was held on Saturday 30 June followed by a second workshop on Wednesday 4 July. Representatives from the APA attended both workshops. We now look forward to receiving from Council a full record of the results of the workshops and other consultation to date. We will then provide this to APA members with details of the next steps in the place planning process. Northern Beaches Council has stated that broader participation will be via pop-up booths in the village area commencing 11 July (see schedule below), and through a Community Reference Group which is yet to be formed. We encourage all our members to think about the Avalon Beach you wish to have in the future. For the future wellbeing of our Avalon Beach, it is essential that you participate by making these thoughts known. Please drop in to an NBC pop up booth over July and make your views known. Note: pop up sessions may vary subject to adverse weather conditions. NBC has created a My Place: Avalon page on its Your Say website. Keep an eye on this over the next few months.